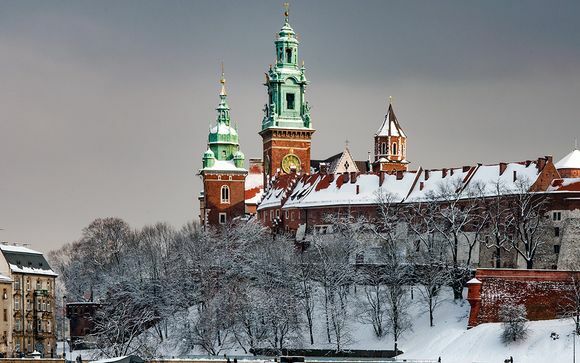 Weekends in Poland up to -70% off To take advantage of these offers, join now for free! 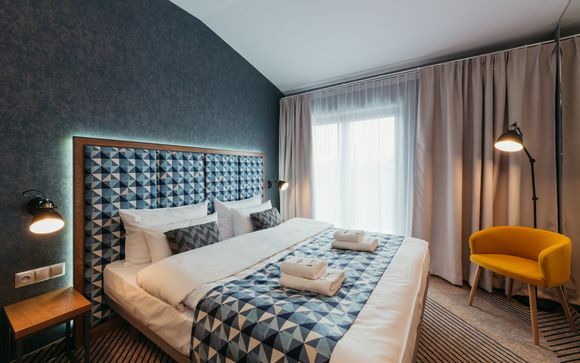 Book online at Voyage Privé and enjoy a weekend in Poland, the perfect place to discover vibrant culture, fascinating history and delectable cuisine, whilst staying in luxurious accommodation. Look forward to a weekend break with a difference, where you can get your fill of culture, art and history, whilst enjoying fantastic restaurants and buzzing nightlife. We can help you with last-minute holiday deals to Poland to ensure your trip is both luxurious and unforgettable, without breaking the bank. 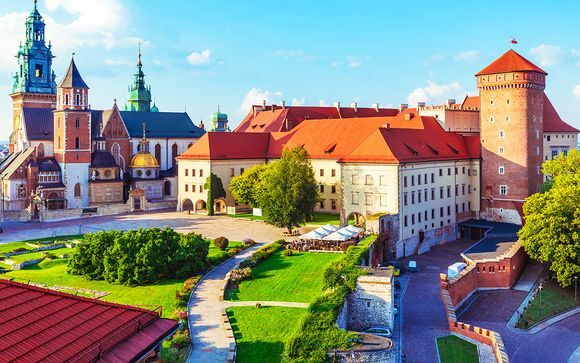 Head to the city of Krakow, where you can marvel at the quaint cobbled streets, unchanged since medieval times, before venturing out to a bustling open-air market. Here you can rub shoulders with the locals whilst sampling your way through steaming pierogi dumplings, breads, cheeses and Polish sausages - delicious. Come evening, you can cosy up in one of the city’s underground cellar bars with a traditional Polish vodka or cherry liquor. 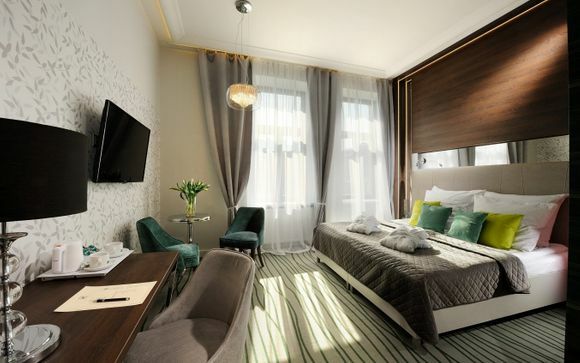 Warsaw is another great destination for a weekend break in style. With a thriving music scene, plenty of fascinating museums and a medley of unique architecture, it’s well worth a trip to this distinctive capital. Spend your weekend exploring the city’s Old Town Square, the Palace of Culture and Science, the Warsaw Uprising Museum and the Royal Castle. Once you have had your fill of culture, head to one of the pretty parks where you can spend a relaxing afternoon amongst the resident peacocks. Looking for a glamorous nightclub to dance the night away in? An atmospheric bar where you can relax and listen to the sweet sounds of jazz? Or else, a trendy microbrewery where you can drink alongside some of the city’s hippest residents? Krakow has a legendary nightlife scene, with many nightclubs to be found underneath the city’s cobbled streets. Similarly, the explosion of bars and clubs in Warsaw over recent years has meant that finding a quirky spot to quench your thirst and don your dancing shoes has never been easier. This thriving scene isn’t limited to bars and nightclubs: there are plenty of upmarket eateries to keep your energy levels up throughout the day and night. From tucking into traditional Polish fare in an ancient cellar, to sampling the country’s finest haute cuisine in a trendy rooftop spot: there’s plenty of options in each city to satisfy the most stalwart of foodies. Poland is a country of sweeping forests, majestic mountains and medieval towns. Home to two national parks, a lake district and a wealth of flora and fauna, it makes for a phenomenal outdoor escape. Witness brown bears on the rugged slopes of the Tatra Mountains or else spot herds of bison wandering through the woodlands – the countryside here is ancient and enchanting. From cycling to skiing, there’s plenty of outdoor activities to excite even the most intrepid of explorers. 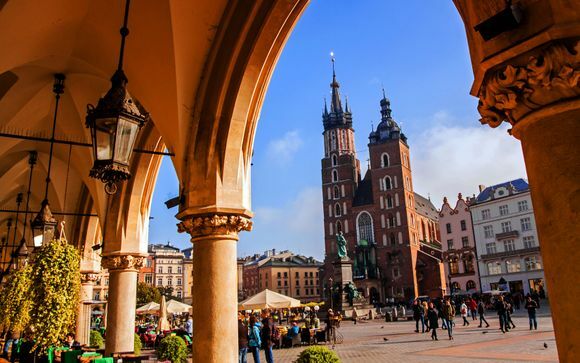 Whether you’re looking to visit fascinating museums, learn about medieval history, sample a new and delicious cuisine or adventure into the forest, Poland is the perfect destination for a weekend break. 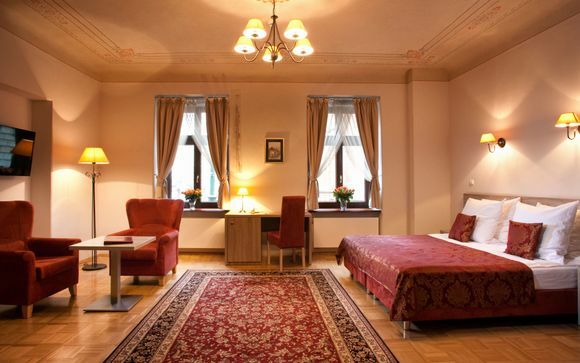 Enjoy our handpicked deals on weekend breaks in Poland that have been specially selected, along with our range of luxurious hotels, to offer you exclusive prices and amazing discounts for an unforgettable trip.